Select Comfort offered to sponsor a giveaway. One Condo Blues reader will win one Classic Plush Blanket in the size and color of your choice. Here’s how to enter. Go to the Sleep Number by Select Comfort Web site take a look around, and leave a comment on Condo Blues telling me which color and size of Classic Plush Blanket you’d like to win along with your email address so I can contact you if you win. 1. Blog about my contest with a link back to Condo Blues. Please leave the URL of your blog post so I can verify it. 2. Subscribe to Condo Blues by Email. 3. Subscribe to the Condo Blues RSS feed. 4. Follow Condo Blues on Twitter AND tweet about the contest. Please leave your username and the URL of your tweet in your comment so I can verify it. 5. Put my Condo Blues button on the sidebar of your blog. You must leave a separate comment for each method you used to enter the contest. If you choose to use every method of entry, you have up to six chances to win! Remember folks the holidays are coming and a Classic Plush Blanket would make a great gift for yourself or for someone you love. I will use a random generator to select the winner. The Classic Plush Blanket Giveaway will run from November 22, 2009 – December 6, 2009 12 midnight EST. Good Luck! Update Monday, November 23, 2009 6:14 PM: Please leave your email address in your contest entry! I can't contact you if you win unless I have your email address. Thank you, Lisa. Legal mumbo jumbo: This contest is open to US residents only. Full disclosure: I received a free Classic Plush Blanket from Select Comfort as a sample because I can’t tell you what the blanket is like without trying it out now can I? Select Comfort didn’t pay me to say nice things about their blanket or to run this giveaway. All opinions are my own and long time readers know I can be very opinionated. I will not share your email address with any third parties, with the exception of Comfort Select because I hate email spam probably more than you do. Seriously. Even fuller disclosure: My dog Blitzkrieg sleeps in my bedroom and he snores – LOUDLY. 12/15/09 UPDATE: Congratulations go to Cheryl, the winner of the giveaway! Did you enjoy this post? Get more like it by subscribing to the Condo Blues RSS Feed or to Condo Blues by Email. I guess I'm first! I also can't sleep if I'm the slightest bit cold. A new warm blanket would be great to replace our worn out cotton comforter. I'd love the Indigo Blue one in a Full/Queen size. I'm also already subscribed to your RSS feed. I would like the cocoa in kings size. We live in Boston and it's about to be really cold! Thanks for finding such a cool sponsor! I have a similar blanket and would love to have another (for cuddling up w/ on the couch!). they last a long time too! I'm subscribed Via RSS (google reader), not e-mail. I get too many e-mails as it is! If this doesn't count just delete it! sorry!! I like the Twin size in Sand color. I also use cotton quilts, and they are too heavy. Thanks for the chance! I would love a new blankie - king size in sand. I'd like a queen size indigo blue blanket. I like the sage in a queen. I'm very cold right now and would love a blanket like this. I like the blue in Full/Queen. I like the sage in full/queen! I love the Indigo Blue blanket and need a Queen size if I were to win. Best wishes and thanks for the chance to win this wonderful blanket. Indigo Blue King size, gotta have enough room to keep the little ones that sneak into our bed at night. OMG I would LOVE to win this i am ALWAYS cold!!! I would LOVE the Cocoa in King if i were lucky enough to win! Thank you for the awesome giveaway!! I would love the Sage in Full/Green. It looks so soft! I'm always freezing! I have a very un-eco friendly heated mattress pad because I am that cold at night! I would LOVE an Ivory Full/Queen Classic Plush Blanket! I'd love the Cocoa in Full/queen size. Getting toasty just thinking about it! I'd love the win the sage blanket in Full/Queen. I would love a full in Cranberry. It looks so cozy! I wouldl ike the cocoa in queen size. Thanks for the chance. love the King size cranberry! Ooh, that looks nice (and did you say it is warm?). I would love one in cocoa, queen size. cheaplikeme at gmail dot com Thanks! I'd like the Cocoa in a King size. I would love to win one of those blankets. I would want to full/queen size in Ivory. It would go perfectly with my bedding and would get tons of use. Hope I win! I would choose the Cranberry in Queen~Beautiful!! I'd love to have a warm blanket that doesn't weigh me down. It's hard to sleep with your toes pointing up when the weight of that blanket feels like a ton! I would order the Cocoa in King size. I have subscribed to Condo Blues by Email. I subscribed to the Condo Blues RSS feed. Ooh very nice! I'd love a blanket in color Sand size King. Thanks so much! This looks like an absolutely wonderful and toasty warm blanket and would be perfect for these cold winters here in Michigan. I would love the Cocoa blanket in Full/Queen size, thanks so much for such a great giveaway! Love your blog. The sand color goes best with my condo decor. I would love the king size in cocoa! This is a great giveaway, particularly given that our only "heater" is two small (under a foot tall) space heaters. Well, and a pitbull for the feet, and a cat. I really liked the sage colour, in a Full/Queen size, and would love to have one! I think I'd pick full/queen size in indigo blue. I'd Love a full/queen in indigo blue. I need warmth I tell ya!! I really could use a cozy blankie! I'd love to have a cotton candy pink one, but that is not an option! So, indigo Queen sized. I also signed up for your newsletter. I'd love to win the King Size Cocoa! My husband refuses to turn the heat on at night... so this would be great! I could so use a new comfy blanket! I would choose the Queen size in Cranberry! I like the sage blanket in Kingsize. Ohhh, it looks so warm. I want to snuggle up in it now. Since we have a gigantic bed, a king size in Sand would work wonders during these cold Maryland winters. Just subscribed via email. I just blogged about your blanket giveaway! I'd love the sand colored blanket in king size. My husband and I both LOVE to be toasty at night. I would love the sand one in queen size! It would match my bedroom set perfectly! the.fortes [at] gmail [dot] com. 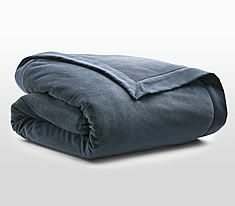 I'd like to win the king size indigo blue blanket! I also pile on the blankets at night! If I won, though, I'd love a full/queen in ivory for my mom. I would pick a king size in cocoa. I subscribe in Google rss.Thanks! I'd love the sage color. I would love the full/queen one in indigo please. You have a great blog, and I read regularly. My husband would love this in indigo blue!! King size in ivory. Thanks! I would love to win the classic plush blanket in cocoa in size full/queen. Thanks for the giveaway! Subscribed to Condo Blues via email. Following you on Twitter (csaulpaugh89) and tweeted.